Looking to try a bullet journal mood tracker? Great idea! It’s so important to look after our mental health — and a bullet journal mood tracker is a fantastic way to do just that. One of my goals for this year to is to use my bullet journal as a mood tracker to stay aware of my emotions and create better self-care habits. 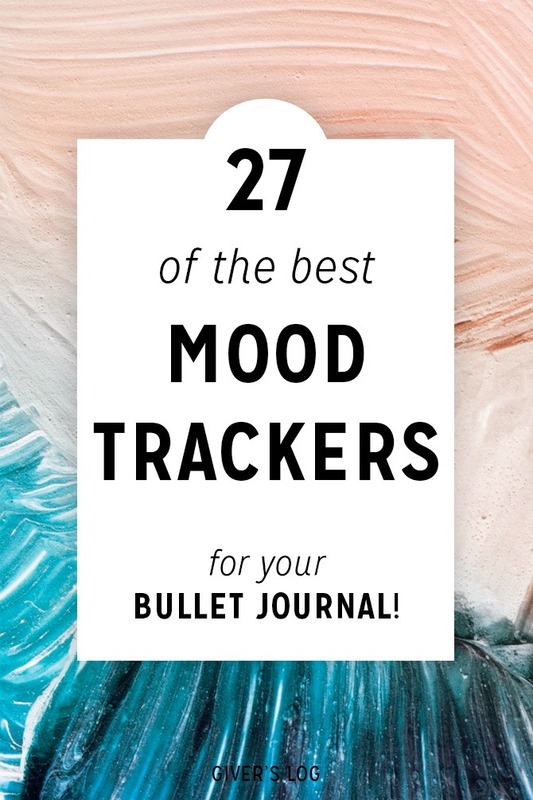 Read on for lots of information about mood trackers, and a huge list of the best bullet journal mood trackers to inspire your own spreads. We all know that taking care of our mental health is super important! But, because we’re all so busy, self-care often gets pushed to the bottom of our to-do lists. Luckily, a bullet journal can help with this. If you are new to the bullet journal system, here are the basics: A bullet journal is part calendar, part diary, part to-do list. It’s an organizational and productivity system designed to help you keep track of your tasks and events. Check out The Ultimate Bullet Journal Setup Guide for Beginners for more information about how to get started. And just like you can use a bullet journal to keep track of your to-do list, you can use a bullet journal to keep track of your moods. You probably already use your bullet journal for tracking tasks, ideas, activities, and life events. So, it’s not hard to imagine using your bullet journal to record information about your moods and mental health, as well. 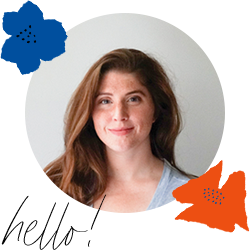 A mood tracker is a powerful and easy-to-use tool that allows you to track your emotions — or moods — on a regular basis. You’ll set up a system that lets you identify and record your emotional highs and lows. Through daily use, you may also begin to identify and track the factors that may have caused certain moods. When you track your mood every day, you may start to find patterns — or triggers — that impact your emotions. This is important — because the way we feel impacts the way we think. And, the way we think impacts the way we act — and so on. Using a mood tracker will give you the knowledge and awareness you need to help you can take control of your moods — instead of letting them control you. So, the first thing to do is set up a mood tracker. There are a lot of different ways you can set up a mood tracker in your bullet journal. Here are some bullet journal layouts that can help you track your moods and mental health. When I think of mood tracker layouts, I think of three main types. This type of layout will help you see patterns. Keeping track of your moods in this way might help you make connections between your habits and your moods. Using this type of mood tracker — and identifying those habits — may help you make better decisions in the long run. In a very basic way, the simple act of pausing to recognize your emotions can benefit your mental health. This type of mood tracker helps you acknowledge the way that you are feeling, and validate your emotions. There are a few different ways to keep track of your moods within this layout. You could assign different colors to different moods — and fill in the boxes that way. Or you could rate the intensity of your moods, and fill in the boxes with a number (1-5, for example) to indicate the intensity of the emotion. If committing to a year-long mood tracker seems overwhelming, you might prefer a mini-tracker style of mood tracker. You can add a small tracker to your daily spread (or weekly spread, if you do those instead). I like weekly mood trackers because I tend to slip into all-or-nothing thinking when it comes to tracking. I like starting each weekly spread with a clean slate. If you are the kind of person who might start avoiding the monthly/yearly habit tracker because you missed a couple of days — try a daily/weekly mini tracker instead. And just before we get to the roundup of my favorite mood tracker layouts, I want to share with you this list of 30 emotions you may want to track in your bullet journal. Pick a couple to try!